Expert Real Estate, Central Victoria's premier real estate agency. Offering to our clients exceptional and professional service, we strive to not only meet your expectations but to exceed them and ensure that your experience is both profitable and totally satisfying. Whether you are a Seller, Purchaser, Landlord or Tenant, we are dedicated and committed to making "A Wow Experience" for your next real estate venture. 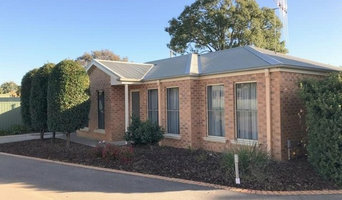 We provide good value real estate and property services in the greater Bendigo area, including residential, commercial, rural and land sales, residential rentals and commercial leasing, Owners Corporation Management (Body Corporate Strata Management) and business sales (Business Broking). We are local members of the community with a love of property and the desire to help people achieve their property dreams - as well as fully licensed Estate Agents, Auctioneers, Owners Corporation Managers and Business Brokers. If you need any real estate service, ask the experts at Expert Real Estate we are happy to help. Real Estate is a complex and dynamic area of work that demands experts to stay informed about rules and regulations as well as the Bendigo, Victoria market. As you can imagine, agents and brokers vary as much as the properties they sell. You'll need to be as savvy in selecting a realtor as they are in getting you the best price. When you're looking to buy a home, a buyer’s agent represents a home buyer or seller in a real estate transaction. A buyer’s agent will find Bendigo property listings that match your needs, works with the seller’s agent to schedule showings and accompanies you on visits to tour the home. If you’re interested in the house, the agent handles price negotiations and other terms of the sale, and coordinates the appropriate paperwork. If you are engaged in a home sale, a seller’s agent will help you determine a listing price for a Bendigo, Victoria property and can suggest repairs, upgrades and staging ideas to boost the home’s appeal. He or she is in charge of marketing the house to prospective buyers and other agents through signage, websites, print ads, open houses and other methods. As with a buyer’s agent, a seller’s agent represents you in negotiating the sale.